US 17-92 Interchange at SR 436 | DRMP, Inc. Sensitivity to the local community was paramount in conveying the design and scope of this milestone project. The challenge showing the accurate limits of construction and aesthetic elements of the bridge and surrounding roadway. 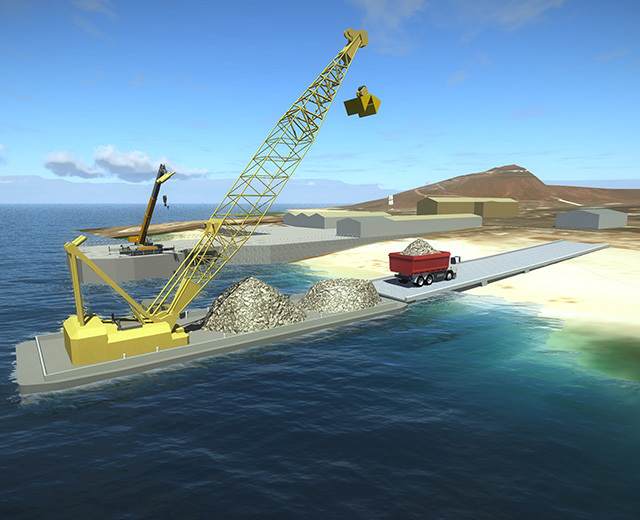 Along with large aerial displays that illustrated the overall project limits, a 3D model was created based on CAD data taken directly from the final design. The 3D model clearly demonstrated the design intent as well as the scale of the bridge in relationship to the intersection and local community. 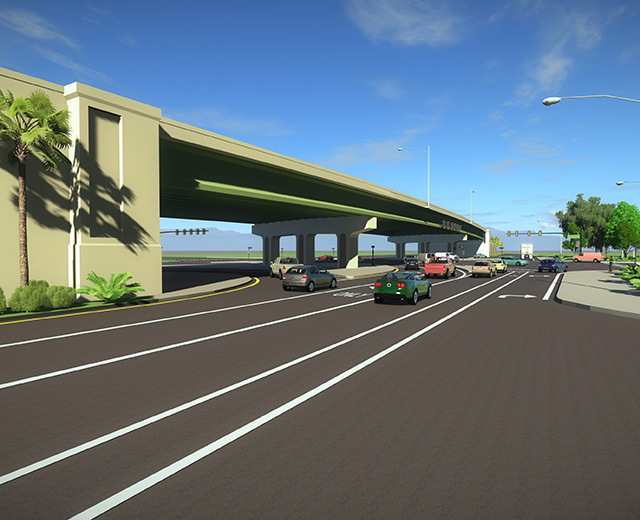 DRMP designed this single point urban interchange that elevated four lanes of US 17-92 over SR 436 at what was previously an at-grade intersection. This project is considered a community-enhancing project accommodating a heavy volume of commuter traffic and providing a major pipeline to motorists coming from I-4. The installation of the flyover bridge has drastically improved motorists’ travel time, saving an average of five to 10 minutes in travel time.